The Toshiba B 211 has been discontinued. No direct replacement is available. The B 211 weighs just 460 grams with its battery, but delivers six kinds of dot-matrix fonts plus an alphanumeric/barcode rotation ability. 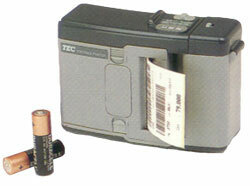 The B 211 features up to twenty formats and can store a graphic or a logo image. Barcode Ribbons, RESIN RIBBON, 4.33" x 1968'', 1" CORE, B-EX4T2 COMPATIBLE, 10 rolls/case. Printer Ribbons, 4.17" x 1,969' Wax-Resin RIBBON, 5 ROLL CASE, FOR B-SX4/SX5/472/572/482 PRINTERS. 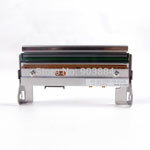 Also available as a single roll (Part# BX760106AG2E-R). Barcode Ribbons, WAX RIBBON, 4.72" x 984'', 1" CORE, B-852 COMPATIBLE, 5 rolls/case. Barcode Ribbons, RESIN RIBBON, 2.36" x 1312'', 1" CORE, B-SA4TP/4TM COMPATIBLE, 10 rolls/case. B-SV4D, Replacement printhead, 203 dpi.